So… um, we have two people today and one is… interesting! Shall we start with him? Tell me a little about yourself, young man. My name is Shan-leo Shermac and I’m twenty-two. I’m the son of a Sire aristocrat, grandson of the last Sire emperor and a telepath. But I don’t like being considered the galaxy’s most wanted bachelor because of my name and ancestors. As for what you’re staring at goggle-eyed, I lost my right arm in a flying car accident when I was seventeen, so I now have this wonderful prosthetic. Flying car? Prosthetic? Fine, let’s move on. You have an air of nobility about yourself, but… Describe your appearance in ten words or less. An alien Humanoid with a bionic arm. I wish I could say I understand what you’re saying… Would you kill for those you love? And would you die for them? I’m a telepath and an empath, so I find it hard to kill anyone. Even the evilest mind might have a redeeming spot – and I can see it, unless it’s another telepath or has artificial mind shields. I have genetically reinforced skin, therefore I’m pretty tough to kill. I admit I’m lucky, neither I nor my loved ones have been in a life-threatening situation – at least not lately. So I guess there’s more to your story… Where do you live? I live on the Imperial planet, Marc’harid, with the rest of the Sire – but I look forward to exploring more. Not yet. I know the love of my life is not on Marc’harid, and that’s another reason to go looking elsewhere. Finding stolen manuscripts and a wicked Manuscripts Collector. Manuscripts! Now we talk the same language! Do you have a family? Tell me about them. My father Ker-ris has a mind link with my Uncle Kol-ian, his “wicked brother-in-law”. My icy mother is dead. I’m an only child, so I adopted Dadina who is also an only child. But we now have a very extended family of friends of our parents and their kids! Please give me an interesting and unusual fact about yourself. I love calligraphy and my bionic hand is perfect to hold the quill. Sometimes I feel like a luddite with my love for ancient paper, ink and pens, but I think the past holds answers to the future. What 2 or 3 questions do you wish I’d asked and what are your answers to them? Your father is the sexiest Sire alive? Oh, my… I think you’re quite… interesting yourself! All right, let’s hear it from the young lady with you. Tell me a little about yourself. I’m Dadina Maela, nineteen-year-old techno-geek who works in the cybernetics department of the Vaurabi Labs. I have only one biological parent, since I was born on a planet where the Y-chromosome lives four days and women make sperm from their bone-marrow. Oh, boy, that impossible babble again… Describe your appearance in ten words or less. Sort of clone of my mother, blonde cyborg Maela. 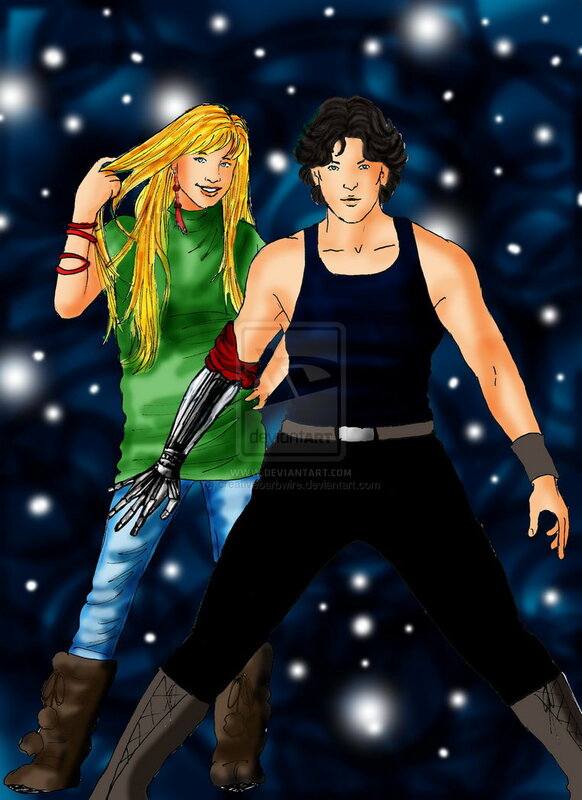 Being the techno-geek, I can’t let luddite Shan-leo travel on his starship on his own, right? Besides, I helped with the mainframe of the starship and even named it Haiduc. It’s Sylvanian for “outlaw”. Interesting name for a ship… What is your relationship with the protagonist? 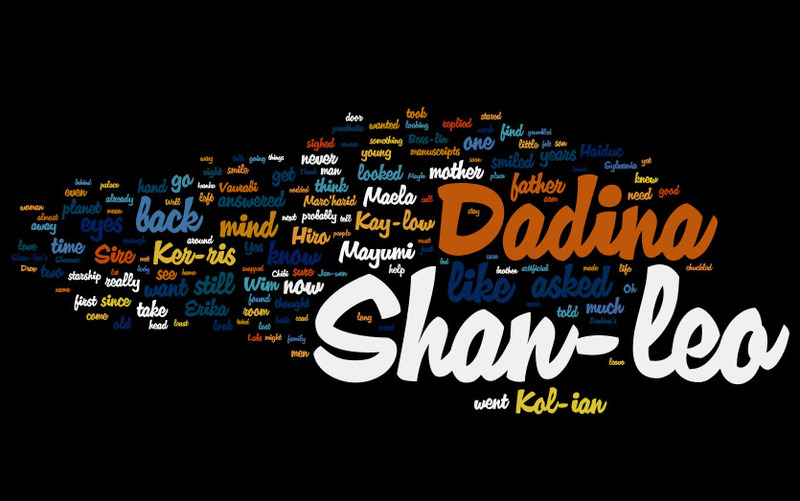 I’m Shan-leo’s foster sister. Since we’re both only children of single parents, we adopted each other. Years ago Shan-leo even suggested my mother married his father – but it would have been a fake wedding for appearances sake. I’ve been living on Marc’harid for twelve years. My mother works for Kol-ian and Ker-ris who were kind enough to give us a new home. I haven’t seen my home planet, Sylvania, since I was five. I’m afraid my crush on Shan-leo isn’t completely over yet. I keep comparing all my prospective boyfriends to him. But he’s so… I know, I’ll get over him. Eventually. When I was twelve and Shan-leo fifteen, I was so lonely again that I built a robot to keep myself company. I called it Chibi. I still have it, and after Shan-leo lost his arm, I reprogrammed it to sound like him at ten. I sure hope what you said was clearer for the readers than it is to me… thank you for your time! 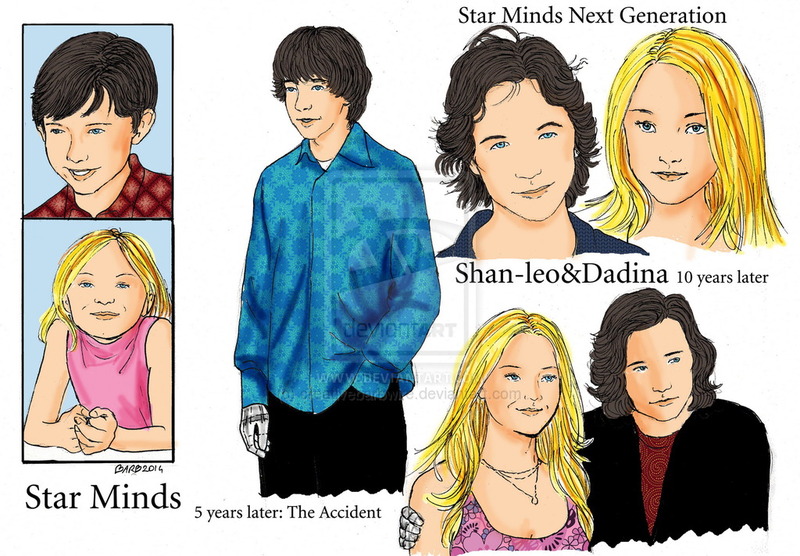 Shan-leo and Dadina are co-protagonists of Star Minds Next Generation. The saga continues – ten years after the end of the trilogy, here’s what happens to the children. Aristocratic adventurer on a starship called “outlaw”. Coming soon in ebook and print!